Kito, who is paying Europe a visit: So Angela. 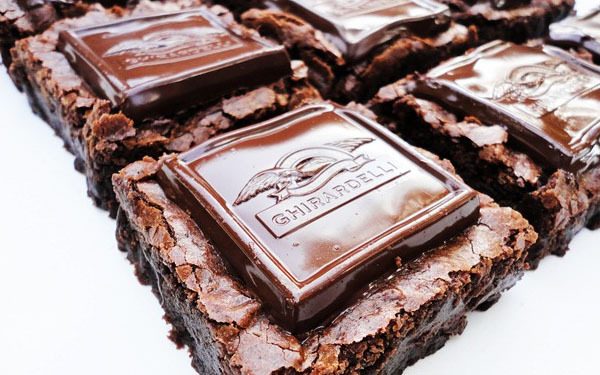 Do you have any feelings about Ghirardelli chocolate? Me: I guess I like the peppermint kind. Kito: Do you ever have overwhelming urges to eat it? Are you ever like, "God, I could kill for some Ghiradelli chocolate right now"? Kito: Oh. Because here is a pack of Ghirardelli Dark Chocolate that I brought as a present for you. Don't worry though, they were on sale and I got some for my ex-girlfriend too. Thanks again, Keet. Image credit: Hungeree.